1. Put your cardigan on and bend your elbow. 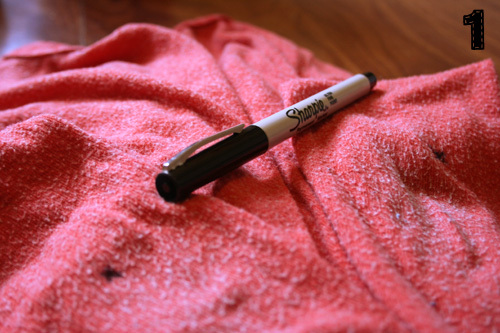 With the marker, mark the middle of your elbows where you want the patches to go. Just mark a small dot or x. 2. 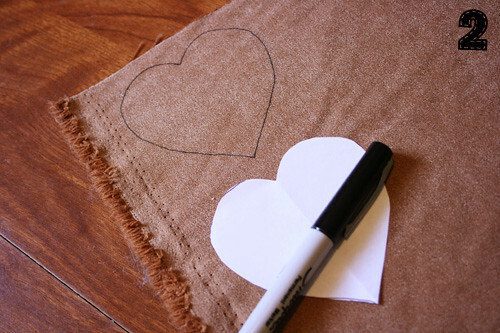 Using your heart pattern, trace your heart onto to wrong side of your suede and cut them out. 3. 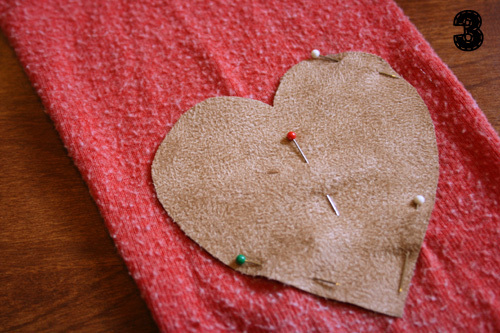 Pin the heart patches over your elbow marks. 3. 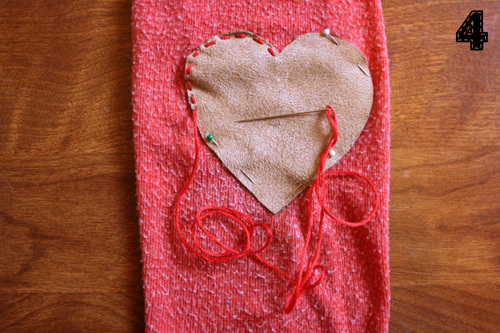 Using your embroidery thread, stitch your hearts in place! I chose to stick with a basic running stitch, but you could do whatever fancy stitch you may like. Tadaaaaaaaaa. 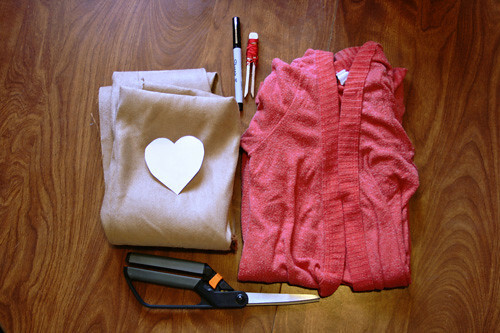 You can see a little more in my outfit post tomorrow!